whole west bangal starts preparing for Durga Pooja from a Month before of its actual arrival and end with the hope that Merciful Maa Durga will come again next year. What is Festival Mahalaya and why do Bangali Celebrates Mahalaya? Pitra Paksha Ends with Mahalaya it is celebrated on the day Before Durga Puja. Mahalaya comes on the day devi Paksha. On this auspicious day of Mahalaya People chant Sanskrit mantra and pray Maa Durga to come on earth and end all the sins and evil around. Devotee believe that Maa Durga will come on the next day and thus the festival durga Puja Starts from the next day onwards. on last 4 days of Durga Puja which are known as Shoshthi, Shoptami, Maha Aoshthami, Maha Navmi and Vijya Doshmi are full of life and celebration in all around India specially in Bengal. 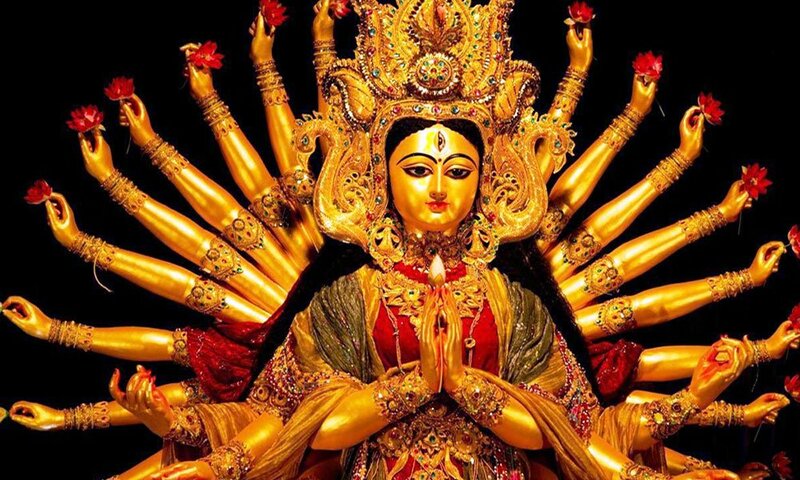 So on this special day of Mahalaya lets pray Maa Durga to kill the evil inside us. Lets chant the Shloka of Sanskrit.